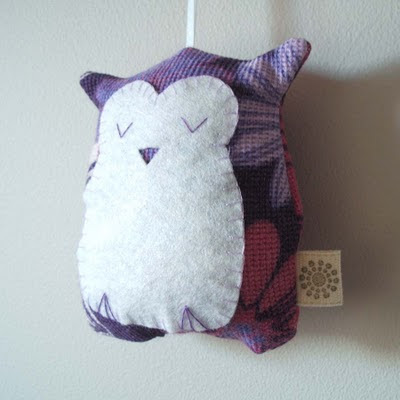 I have recently listed some lavender hearts and lavender owls in two new colourways. 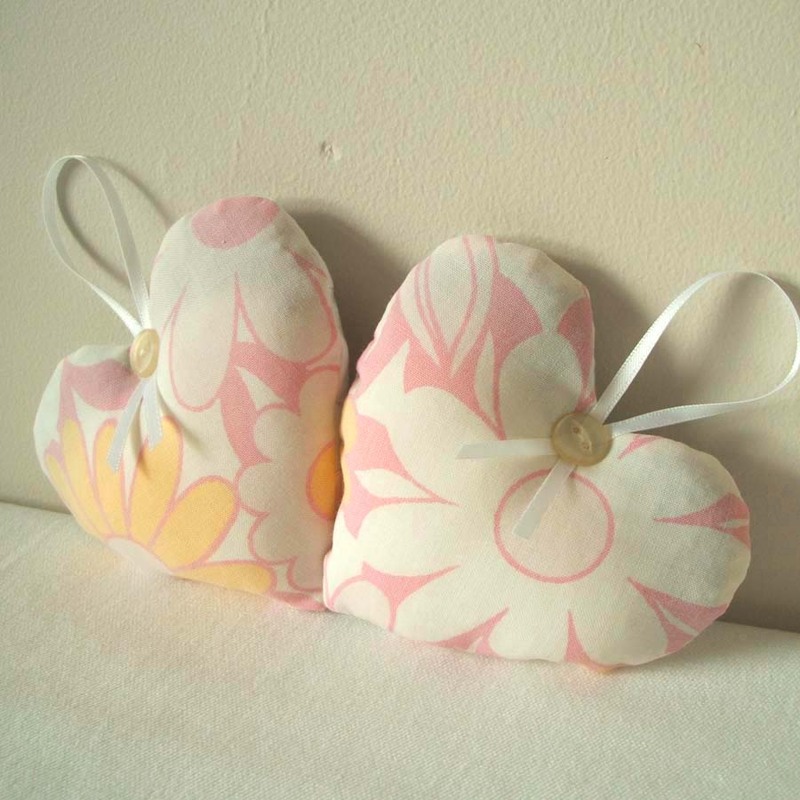 The hearts are made with vintage fabric in shades of lemon yellow and cotton candy pink. They make great ecofriendly Valentine's day presents and they are also perfect as a wedding, bridesmaid or hostess gift. Next up are some lavender sleepy owls in lilac and plum. 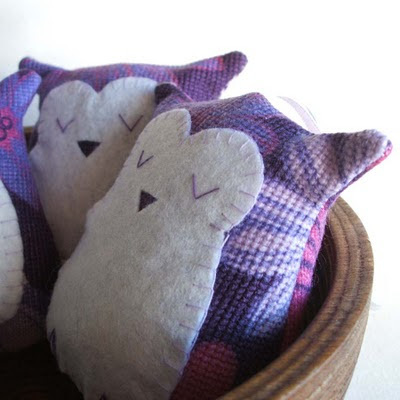 I already make rabbits in this colour so decided to create some owls in the same vintage fabric. 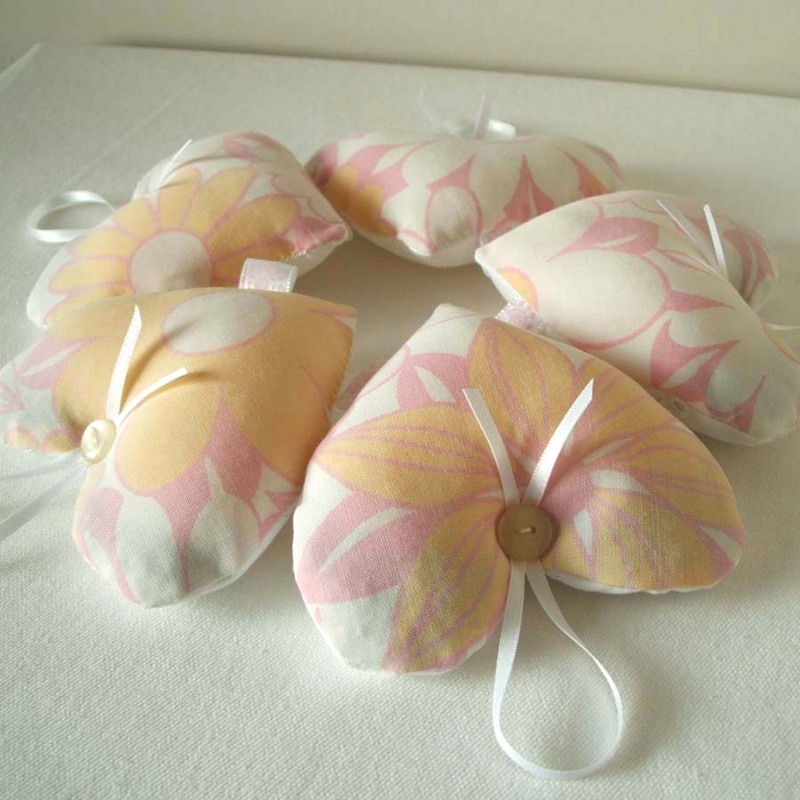 They are filled with chemical-free, French Lavender and non-allergenic stuffing. You can either place them on your pillow to help you float off to sleep. 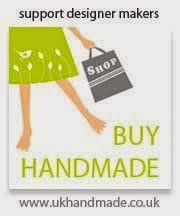 Or put in your wardrobe (they don't mind the dark!) 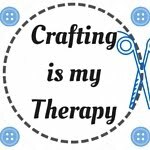 to make your clothes smell nice.